Not content with being one of the finest drummers of his generation, Nick Mason has proven his hero status once again by helping save Foote's music shop. 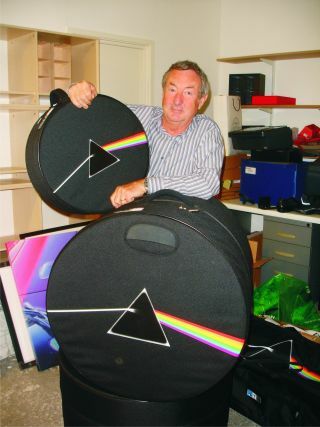 The London drum store had been under financial pressure after a last-minute business loan rejection, that is until the Pink Floyd drummer came along. Mason, who bought his first drum kit from the shop, has now teamed up with the store's sales director Rob Wilson to purchase the shop. The rock legend told MI-Pro.co.uk: "After 40 something years of playing, I still have great affection for a real drum shop. And Foote's has a special significance for me. In 1958, I headed down to the West End of London to a basement in Denman Street where a kindly man called Sid, in a white coat (maybe that's significant as well) sold me my original kit for £7.50." Foote's will now re-open in a new location at 41 Store Street, Bloomsbury, having previously been situated in Soho.